A catastrophic injury changes everything. In an instant, your life – your work, schooling, hobbies, and time spent with friends and family – comes to a grinding halt. You may spend weeks or months in the hospital, struggling to survive your injuries. Hospitalization is often followed by long-term rehabilitation. Even after you are back on your feet, life may feel like an endless round of doctor’s visits, medication, treatment, and therapy rather than the enjoyable and productive life you once enjoyed. And, as they often do, catastrophic injuries can leave you with permanent disabilities and staggering medical costs. At Warren & Kallianos, PLLC, our Charlotte catastrophic injury lawyers fight on behalf of victims and families who are facing life-altering circumstances because of someone else’s negligence. An injury is considered “catastrophic” if it results in long-term or permanent physical or psychological impairment. Often, you will hear people use the word “catastrophic” interchangeably with words like “serious,” “severe” or “critical” to describe injuries. While these terms do have specific meanings to doctors and other medical professionals, the important thing to remember when seeking compensation for a catastrophic injury is that its effects will linger – perhaps for the rest of your life. This does not mean a catastrophic injury will destroy all your hopes or plans. Many people who survive catastrophic injuries go on to rebuild their dreams or to achieve new ones. However, it does mean that you need a settlement or damages award that takes future difficulties into account and addresses them, so you have the best possible shot at building a bright future. Traumatic brain injuries, including concussions can cause severe headaches, cognitive deficits, abnormal speech and language, emotional problems, memory problems, and other lifelong difficulties. Spinal cord injuries, which can include partial or complete paralysis, have a devastating impact in the life of the injured person affecting his or her ability to function, work and enjoy life and relationships. Hypoxic-Ischemic Birth Injury. Also known as birth asphyxia, HIE is a dire health condition that results from oxygen deprivation of the brain in infants during delivery which can cause severe and lasting brain damage. Burn injuries – including thermal, electrical, and chemical burns, which can cause infections, adhesions, limb loss, and other permanent scarring and disfigurement. Exposure to substances that cause hypoxia (lack of oxygen to the brain) or organ damage. Limb loss/amputation can cause physical, emotional, and psychological challenges for amputees and the people in their lives. Scarring/Disfigurement occurs when injuries such as burns or deep lacerations cause permanent, visible scarring which negatively impacts the injured person physically and psychologically. Wrongful death. When one person’s negligence causes the death of another, the decedent’s relatives may be able to recover compensation for the loss of their loved one. The medical costs of catastrophic injuries can generally be broken into two major categories: the costs associated with the immediate care of the injury, and the costs associated with the disabilities that linger even after doctors have determined that you have healed as well as can be expected. To ensure that your insurance settlement or court award meets all your needs from the injury, thinking about both categories is essential. A Department of Labor study found that the cost of medical care for a catastrophic injury is typically highest in the first six months following the injury. These figures don’t include the cost of the lost wages, commissions, bonuses, or benefits that the person loses by being unable to work. Nor do they include costs like replacing property that was damaged or destroyed in the accident. And they do not begin to account for the extraordinary pain and suffering that accompanies a catastrophic injury. 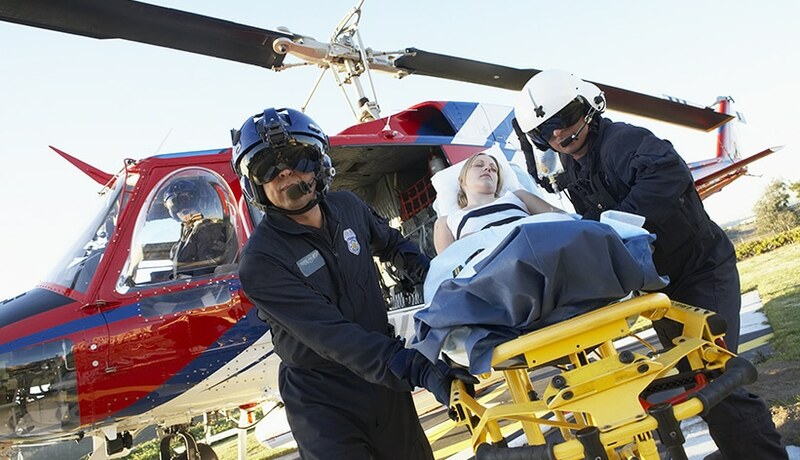 Many of the costs of a catastrophic injury don’t come with a price tag. Instead, they include things like missing out on work or school, isolation from friends and family, and feelings of guilt, anger, or hopelessness as you work to recover from your injuries. A full and fair consideration of your needs will take these costs into account in addition to reviewing the costs that have specific dollar amounts attached. Unfortunately, insurance companies will not make it easy to receive the full and fair compensation you deserve after a catastrophic injury. You may be offered a settlement that addresses only your current costs, not your future needs. Or you may be told that the insurance company won’t pay your claim at all – for example, because the insurance company claims you were at fault for your injuries or because your injuries are not covered by the policy. Negotiating with insurance companies can be tough for anyone. Developing a strong case on your behalf requires finding evidence that details what happened, investigating the accident scene, talking to witnesses, reviewing your medical records and your healthcare professionals’ recommendations, and describing in detail how your injury affects you today and is likely to affect you in the future. Because so much money is at stake in a catastrophic injury claim, insurers and potentially negligent parties may choose to stand and fight, presenting a strong defense rather than offering you the settlement you deserve. If this happens, a qualified attorney will not hesitate to build a case that can be presented effectively to a jury in case an appropriate settlement cannot be reached. $4,000,000 settlement for a client who sustained catastrophic burn injuries due to an arc flash explosion while working on an energized electrical panel. $3,000,000 settlement for a client who sustained a gunshot injury to her spine in a robbery outside a business establishment that failed to provide adequate security for its customers. $2,500,000 settlement for a client who sustained severe injuries, including a head injury and multiple orthopedic injuries, after being struck in a crosswalk by a drunk driver. $1,600,000 settlement for a client who sustained a severe hip injury in a head-on collision with a tractor-trailer. $1,550,000 settlement for a client who sustained severe electrical injuries and burns over 22% of his total body surface after being injured on a construction site when a light pole he was helping to erect came into contact with a high-voltage power line. $1,500,000 settlement for a client who sustained a severe head injury when he was thrown from a vehicle that hydroplaned on I-85 in a construction zone. $1,120,000 jury verdict for a client who suffered crush injuries when a crane that was being dismantling collapsed on top of him, resulting in severe fractures and permanent injuries. The verdicts and settlements set forth above were obtained by our law firm from 1993 to present. In most cases, liability and/or damages were contested, the adverse parties were represented by counsel and the matters involved complex factual and/or legal issues. All verdicts obtained were collected. Please note the outcome of a specific case cannot be predicted upon a law firm’s past results. To find out about more of our North Carolina injury law firm’s verdicts and settlements in catastrophic injury cases, check out our Results page. How Can Our Charlotte Catastrophic Injury Attorneys Help You? Attorneys Jeff Warren and Chris Kallianos understand how tough it is to fight for the compensation you deserve when you’re already fighting to recuperate after a catastrophic injury. That’s why we’re dedicated to building your case and advocating on your behalf, so you can focus on healing and putting your life back together. The settlement or jury award you receive after your catastrophic injury should cover both the expenses you’ve already incurred and your future medical needs. That’s why it is essential to have someone on your side who knows the law and can protect your rights. Our Charlotte catastrophic injury lawyers spare no effort to investigate, support, and advocate your claim. Warren & Kallianos, PLLC has the experience and resources to properly investigate and handle all types of catastrophic injury claims. If you have suffered catastrophic injuries in an accident that was someone else’s fault, call 704-275-5593 or contact us to schedule a free and confidential consultation with our experienced Charlotte attorneys.